Tune in to the heartbeat of the Lake Minnetonka area! Hosted by Beverly Foster. Interesting conversation between Dan Patrick and Lance Armstronng about Major Taylor and Greg LeMond. 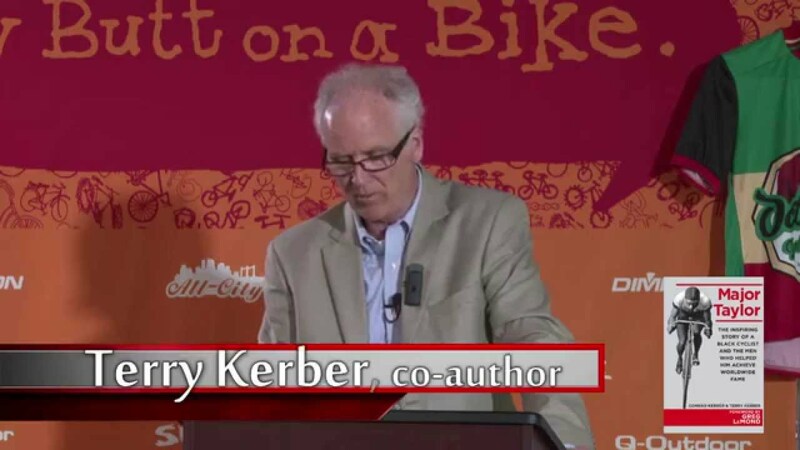 2:20 minute Video featuring excerpts from co-author Terry Kerber's presentation at Quality Biking Products (QBP) during the May, 2014 release of their book. 7:45 minute Video featuring excerpts from co-author Terry Kerber's presentation at Quality Biking Products (QBP) during the May, 2014 release of their book.